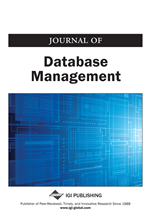 We present in this paper a generic object-oriented benchmark (OCB: the Object Clustering Benchmark) that has been designed to evaluate the performances of Object-Oriented Databases (OODBs), and more specifically the performances of clustering policies within OODBs. OCB is generic because its sample database may be customized to fit any of the databases introduced by the main existing benchmarks, e.g., OO1 (Object Operation 1) or OO7. The first version of OCB was purposely clustering-oriented due to a clustering-oriented workload, but OCB has been thoroughly extended to be able to suit other purposes. Eventually, OCB’s code is compact and easily portable. OCB has been validated through two implementations: one within the O2 OODB and another one within the Texas persistent object store. The performances of a specific clustering policy called DSTC (Dynamic, Statistical, Tunable Clustering) have also been evaluated with OCB.